Easter is approaching and I have so many lovely nail polishes and manicure ideas but the weather is so gloomy and keeps ruining my photography plans. 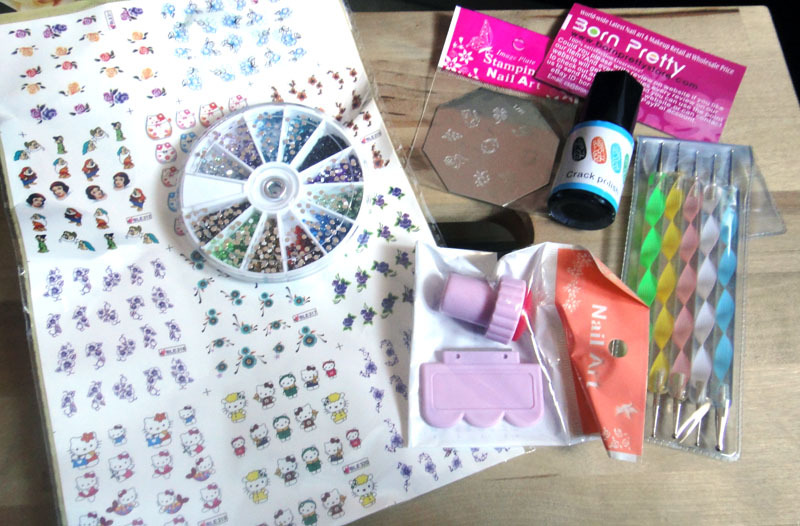 So instead of a manicure, today I want to present to you the Born Pretty store, a perfect place to get a great variety of nail art goods at very reasonable prices. 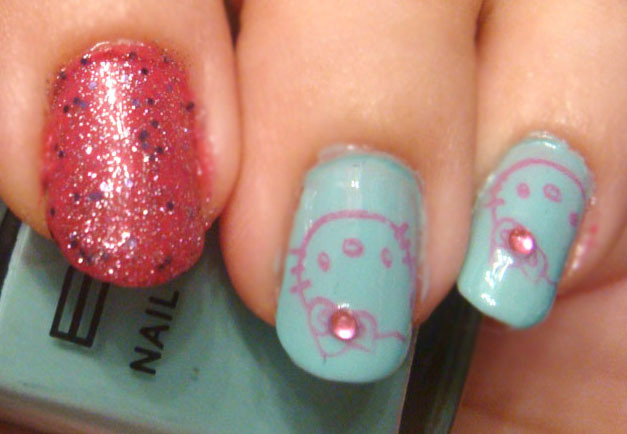 A while ago I received a very kind offer from them and as I love playing around with my nails, I couldn't refuse. A few days ago I received a package for reviewing purposes and as soon as I opened it, I found some fabulous nail art goods inside. 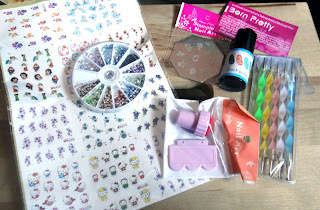 All the items came carefully packaged and I was very excited to test them out. 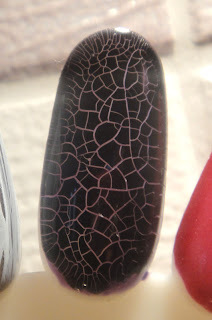 First of all I had to test the crackle polish. I layered it over a purple nail polish and I have to say I am impressed by the way it crackles. The final effect reminds me of stained glass. And here is how Hello Kitty nail stamp comes out, accentuated with pink rhinestones. 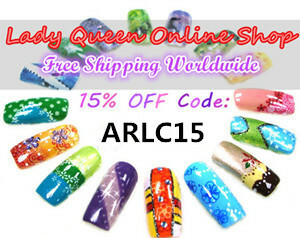 What do you think about these nail art goods? Would you use any of these? Do you think they are convenient or too much of a fuss? If you would like to try out some of these yourself, Born Pretty has kindly offered the readers of my blog a 10% off with the code CEL10K31 until the end of June. I l ove this store too! I use some of their goodiis, like dotting tools. 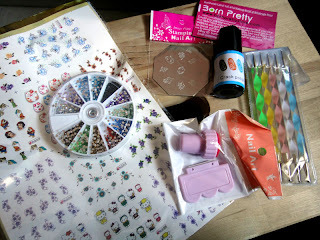 you recived an amazing pack :) :) I hope to see some nail art with water decals! You are lucky, my hello kitty plate along with a dish for acrylics never came. I have ordered many stamping plates some days ago and chosen registered airmail to make sure they'll arrive. Fingers crossed! Egw eimai asxeth opote deeeen agorazw tetoia..ante kanena aplo berniki k eimai ok..
Είναι τέλεια και το κρακελέ βερνίκι μου άρεσε πολύ το εφέ που κάνει!! Πολύ καλή και η προσφορά φυσικά!!! Miss Sahrish Adeel thank you so much! I know I am a bit late but I will check it out right now!